Hamilton Elementary School is located in the heart of La Crosse. The student body consists of preschool through fifth grade children. Our dedicated staff rejoices in the unique individuality of each student. Our strong K-5 academic program uses the curricula of the School District of La Crosse. Individual needs of students are addressed through small class size (SAGE program), the Title I program, and the ELL (English Language Learners) program. We have many community and university volunteers. Our students are also supported through these programs: Art, Music, Physical Education, Guidance, Social Work, Learning Disabilities, and our after school programs. Besides a strong academic program which addresses the diverse needs of our students, Hamilton provides our families with many opportunities outside of the school day. – The Boys and Girls Club of the Greater La Crosse Area uses Hamilton Elementary School as a satellite site. Programs are available for all Hamilton students in kindergarten through second grade, from 2:45 – 5:30 p.m. on school days. Programming includes social, recreational, and academic activities for different age groups. For 3th through 5th grades the Boys and Girls Club program offers activities at their Mathy site. – Family nights are held at least monthly. These family nights can consist of anything from children’s concerts to helpful ideas for parents. The Hamilton preschool collaboration is a model program in the state of Wisconsin. The collaboration consists of classes of four year old preschool and early childhood special education. 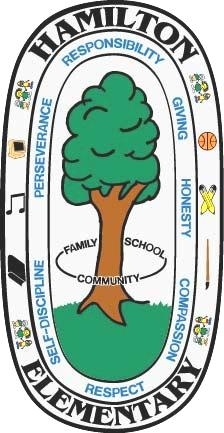 We value our children and adhere to the principles of high expectations, responsibility, perseverance, self discipline, giving, honesty, compassion, and respect. Hamilton Elementary School’s mission is to develop each individual’s potential while understanding and supporting their uniqueness. We believe all students can learn, and we are dedicated to providing many opportunities for them to do so. We learn best when parents/guardians, staff, children, and volunteers work together. We believe children need to be physically fit, eat nutritiously, and be emotionally healthy. We believe Hamilton should be a safe place to learn and grow for all. We work together to solve problems, to build frienships, and to communicate ideas and feelings. We are committed to Honesty, Giving, Responsibility, Self-Discipline, Perseverance, Compassion, and Respect to ourselves and towards others.